Google antitrust settlement: Why the FTC cleared Google of search bias claims. The Government Just Decided That Google Isn’t an Illegal Monopoly. Here’s Why. 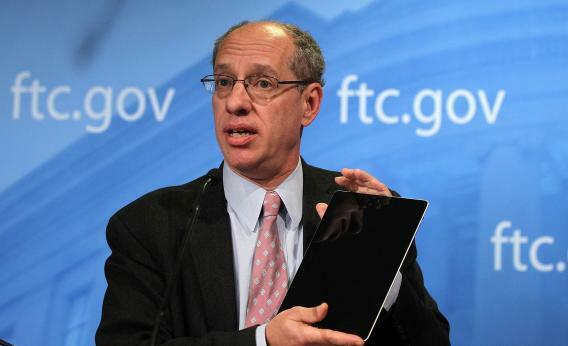 FTC Chair Jon Leibowitz speaks during a news conference regarding the agency’s 21-month-long investigation on Google. The FTC announced that Google has agreed to change some of its business practices, including giving competitors access to standard-essential patents and letting advertisers to get more flexibility to use rival search engines, to resolve the agency’s competition concerns in the markets for devices like smart phones, games and tablets and in online search. Of course, Google has plenty of ways to solve that problem, and bumping Google Shopping results to the top of the page is only the most self-serving of those options. So why did the FTC give Google the benefit of the doubt? Exactly so. Which is why today’s FTC settlement makes perfect sense in today’s climate. Google didn’t get off the hook altogether. Under one of its two agreements with the FTC, it must license important patents to some of its smartphone rivals, which seems like a clear win for consumers. The other agreement requires it to give online advertisers more flexibility to use rival ad platforms. Google must also stop unilaterally scraping key information from other sites, like Yelp ratings of businesses, for use in its own results. Those concessions are in keeping with the new regulatory trend of poking big tech companies here and there to crack down on specific behaviors, as opposed to tackling them head-on as illegal monopolies.